I first read Octavia Butler as an undergrad in the English Department at the University of Oklahoma. I absolutely loved Wild Seed and Kindred, and Butler was the first speculative fiction writer who made me really enjoy reading the genre more than watching the movie. 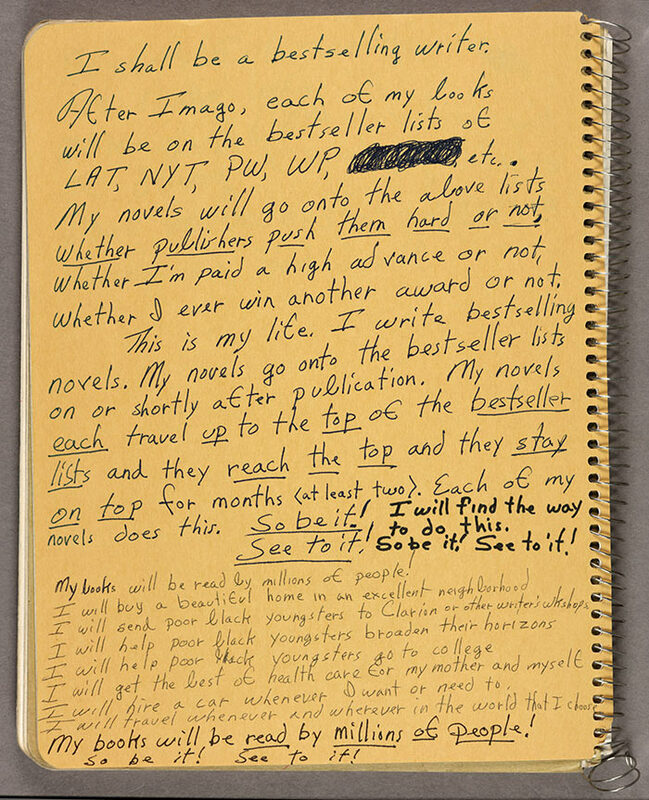 Last week, the Huntington Library posted a picture of handwritten notes on the inside cover of Octavia Butler’s notebook. Handwritten notes on inside cover of one of Octavia E. Butler’s commonplace books, 1988. Octavia E. Butler papers. The Huntington Library, Art Collections, and Botanical Gardens. Not a bad to do list, I must say. She wrote it, and she did it. Oh, and you can bet that Octavia Butler’s notebook has encouraged me to put a similar note in the front of all my notebooks.